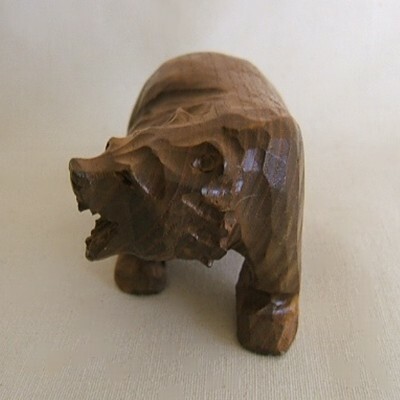 NAME: Carved bear made by Ainu of Hokkaido. NOTES: Lovely wood, left natural (not painted) and varnished. Ainu are the native ethnic group in Hokkaido, the northest region of Japan. They are a distinct ethnic group based on a Shaman religion. 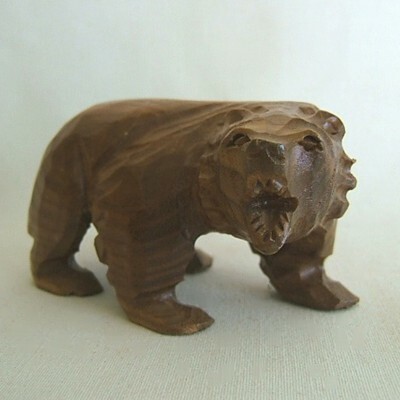 The bear plays a very important role in the Ainu world view. 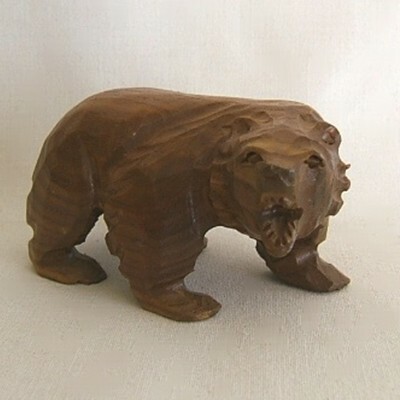 This carving would have been created for the tourist trade. The Smithsonian recently put together a very interesting exhibit on the Ainu.